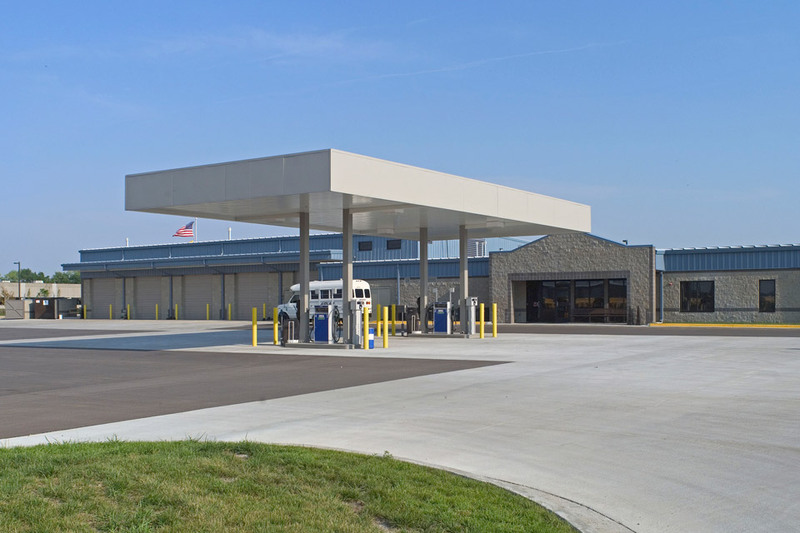 This structure was designed to serve as the school bus dispatch center for Unified School District 233 in Olathe, Kansas. 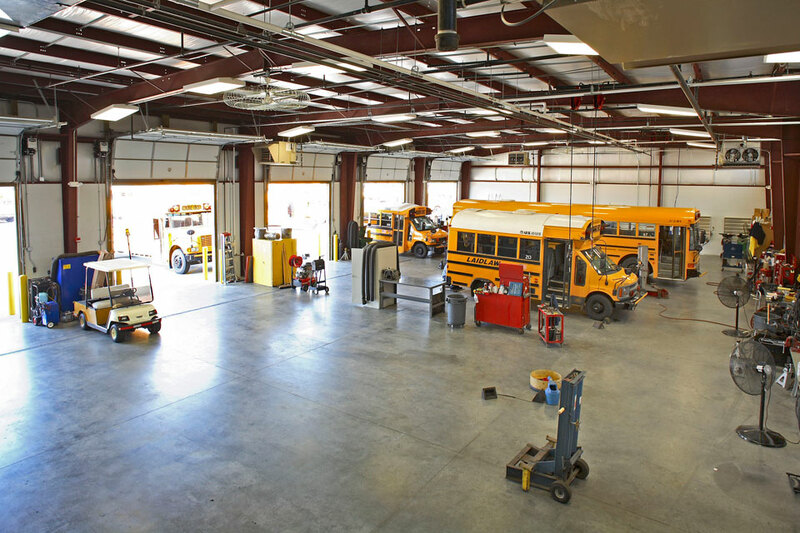 The facility provides staff offices, training and lounge areas, a maintenance shop for vehicle repair and servicing, and site parking for over 200 vehicles. 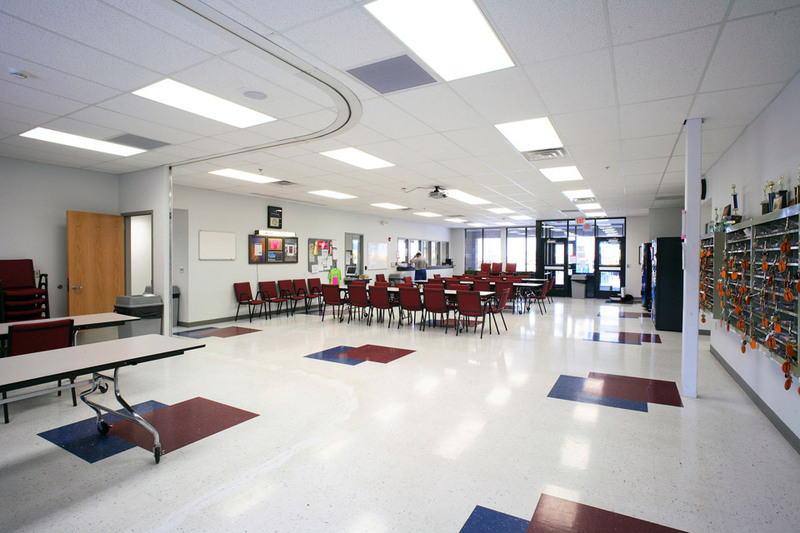 Approximately 14,000 SF. Highlights: The project included a vehicle fueling station with above ground bulk fuel tanks.